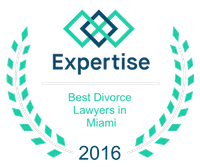 Our Philosophy at Vilar Law | Miami Family Lawyers Vilar Law, P.A. Many people reading this article may never have dealt with Vilar Law before, while others have been our clients in the past – or maybe are even current clients. Hopefully this will give a slight introduction, or even a re-introduction. Vilar Law is a Family Law firm headed by family law attorney Patrick Vilar. Patrick began practicing family law nearly 20 years ago, in Miami, Florida, after graduating from the University of Toledo, in Ohio (go Golden Rockets!). Over those 20 years, Patrick has shaped his law firm to follow a set of beliefs and principals that he feels offers the best legal services to his clients, while charging reasonable rates. Patrick especially wanted to do this after noticing how often clients would complain that other attorneys were constantly trying to “nickel and dime” them. This included clients finding charges for the most minute actions by these other attorneys. That’s not a good way to instill confidence or build a relationship. Fact is that family law, as opposed to other areas of legal practice, tends to be incredibly personal. There’s so much being laid out on the line for clients that it requires a compassionate and caring attorney (not just one that can file some paperwork). Patrick wanted to make sure that Vilar Law would stand apart from other firms, and even built it into the structure of his business model. Fundamentally, Patrick saw that if he, and his firm, were to provide service that was truly satisfying that those clients would do Vilar Law’s advertising for him. While no business can deny the power of “word of mouth”, the very nature of family law necessitated that Vilar Law be built around that concept. Vilar Law’s best form of advertisement is past clients that are satisfied with Vilar Law’s services and the fees charged for those services. Promoting communication between the client and the attorney by not charging for short phone calls. Patrick knows how important it is for a client to talk to their attorney, even for a brief conversation, and the last thing he wants to do was make client’s feel like that was unwelcomed. Also in incentivizing good communication between Vilar Law and clients, there’s no charge for emails received or sent, or for faxes or copying. As opposed to other solo law firms, Vilar Law is a team, which means that the cost incurred while work is being done won’t necessarily be billed by an attorney. It’s with that in mind that Vilar Law knows that trust and confidence is the key to not only helping their clients, but insuring its own future success.